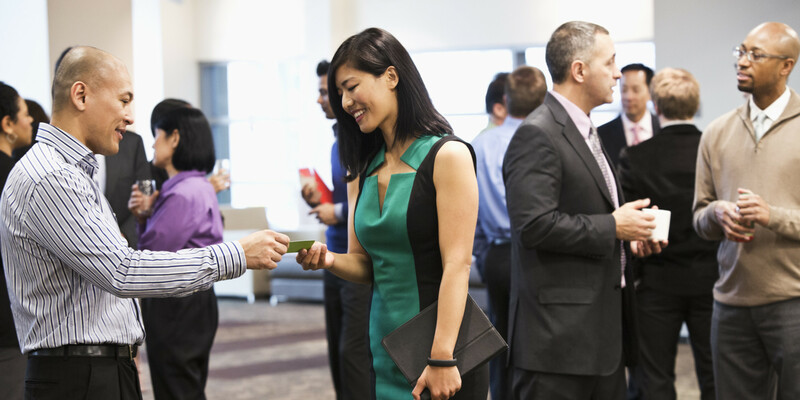 How you present yourself at a networking event is CRUCIAL, even just as a first impression. Yes, those terrifying “first impressions” can have the potential to make or break you. Do not be afraid to look great, chances are it will help boost your confidence if you’re feeling nervous about talking to basically strangers. All too often you will see some people shuffle around their bags or check multiple pockets to find their business cards to exchange with someone. This can actually come off a bit unprofessional and unorganized to the person your talking with, and it also doesn’t help with the good impression you want to make as mentioned above. Keeping your cards in an easy to access place like the front pocket of your purse or chest pocket on your shirt fellas. Trust me, you’ll thank me later. One of the key ideas that can be forgotten at networking events is the fact it is all about relationship building. This is such a key area, especially in the field of communications, to build your network through the relationship you BUILD. Everyone there is there to talk business and expand their horizons and contacts, so it’s okay to touch on interests or subjects to stand out a bit too. You may be surprised at the way you connect with someone, or the topic you might discuss that has your future employer remembering who you are.